Make known all the approaches aiming to develop knowledge of the area: atlas, observatories, research, etc. Make accessible data and analyses on the Channel area, and facilitate the search for information. 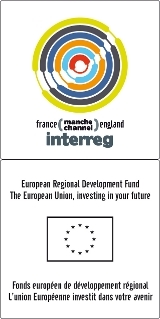 The objective of this database is to help French and British stakeholders in their search of partners in the other country to develop new co-operation projects. For this purpose it identifies the main fields of activity and expertise of each listed organisation. Stakeholders listed in this database are mainly marine and coastal organisations as well as organisations in the field of research and innovation. The purpose of this database is to gain better knowledge of projects that relate to the Channel area with the aim of building on these, achieving greater complementarity, and identifying new areas of co-operation. They deal at least with one of the five CAMIS priorities: knowledge about the Channel area, workforce development, innovation and clusters, maritime safety, transport. Particular attention is paid to projects addressing coastal and maritime issues. This database gathers atlases and observatories which provide information, analyses, maps and data about the Channel area, either specifically to this area, or broadly at the French or British national scale or even at a European scale. These are marine and coastal atlases and observatories but also atlases and observatories on territorial dynamics within the regions. Changes can be made to the description of projects, atlases-observatories and stakeholders in the three databases on request of the interested organisations. These organisations shall send their proposed written amendments with explanations to the editors of the website (contact@camis.arcmanche.eu). Additional descriptions may also be added to the three databases on request on condition that they fit within the purpose of these databases and have no commercial purpose.